The likelihood that the Federal Reserve will continue to keep interest rates low through 2010 and possibly until 2012 is bad news for savers, who today are experiencing record low returns on their money. 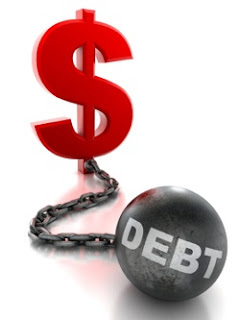 As interest rates continue to remain low, the irony is that borrowers – who were largely responsible for the high levels of consumer debt that contributed to the current economic situation – are being rewarded for their behavior, while savers must wait until the Fed starts boosting interest rates to recover. See the following post from The Mess That Greenspan Made. In the decades ahead, it really will be interesting to lo ok back at this era of economic and financial market stewardship by those with their hands on the interest rate levers and printing press controls as one of the most glaring examples of something that is fundamentally wrong at this stage in the debt collapse is this notion that, a low consumer price index provides a green light to help borrowers and, as a result, punish savers. This AP report on the subject covers all the usual topics. It’s a good time to buy a car, refinance a mortgage, hit the road or shop for clothes. Invest in a saving account? Forget it. Consumer inflation has all but disappeared, the government reported Wednesday. The Federal Reserve may now be emboldened to keep interest rates at record lows well into next year — and possibly into 2012. Yet for savers, the prospect of persistent record-low rates is a downer. It means no relief from puny returns any time soon. The average yield on a one-year certificate of deposit has sunk to 0.7 percent, according to Bankrate.com. That’s the lowest since Bankrate starting tracking the figure in 1983. Rates hovered as high as 5.5 percent around 2000, according to Bankrate.